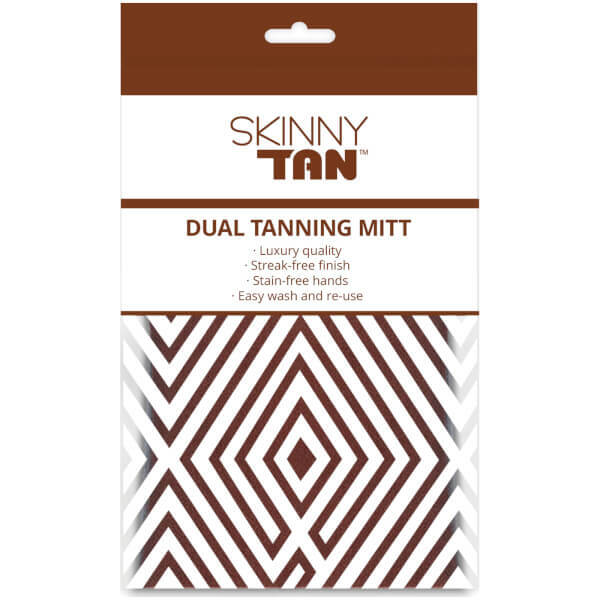 Create a flawless false tan with the SKINNY TAN Dual Sided Application Mitt; a high-quality, ultra-soft glove that assists in self-tan application. Crafted from luxurious true velvet, the mitt glides over the body, evenly smoothing and distributing tanning product to deliver a professional-looking, streak-free finish. 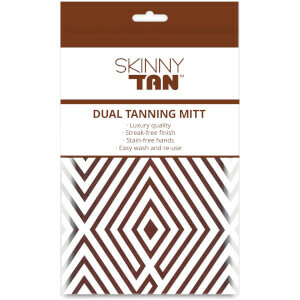 The double-sided design allows for twice the amount of use when applying tan all-over the body. Not only helping you to achieve a beautiful bronzed glow, the mitt ensures hands remain clear and stain-free. The mitt is machine washable, allowing you to enjoy your tanning experience again and again. Expect enviable results. Apply product evenly on mitt and work into skin, or apply directly onto the body and work with the mitt.